An eerie and whimsical tour-de-force with steampunk sensibilities, visually inspired by the art of Edgar Degas and Hieronymus Bosch. Imagine if you will, a creature: a sort of Frankenstein's monster crafted in the back of a 19th century toyshop from discarded playthings. The creature is waking up. A haunting, ethereal piece that conjures an image of guttural, virulent infatuation with a soundtrack of intoxicating trip-hop. Sunrise Blood is an homage to Czernobog - a ruthless and violent Slavic deity - as reimagined by Neil Gaiman in his renowned novel & television series "American Gods". This dramatic and commanding piece, featuring a bleeding hammer at its denouement, is performed over a tapestry of lush operatic vocals and heavy staccato percussion. Do you dare unleash this god's fury? Dandy Alexander and Ren Datura are The Virtuoso and The Muse. He is waiting. She is nearby. He can feel her presence - but she won’t be ensnared so easily. So begins their dalliance and a visceral interplay of dominance and submission emerges. As their intimacy grows and the tension rises, she takes on the role of his instrument in this amorous, sensual and decadent piece. 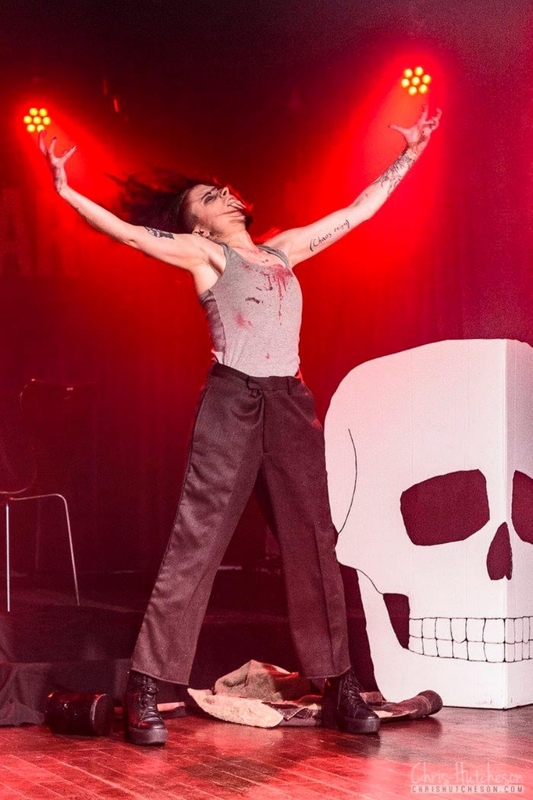 Having toured for 2 consecutive years as part of Esther de Ville and Adam Tupper’s Ghoulesque Revue (second year sponsored by Rue Morgue), Carny Demon is an international audience favourite. Haunting, yet high-octane, with an animalistic twist, performed to dark pagan folk music.